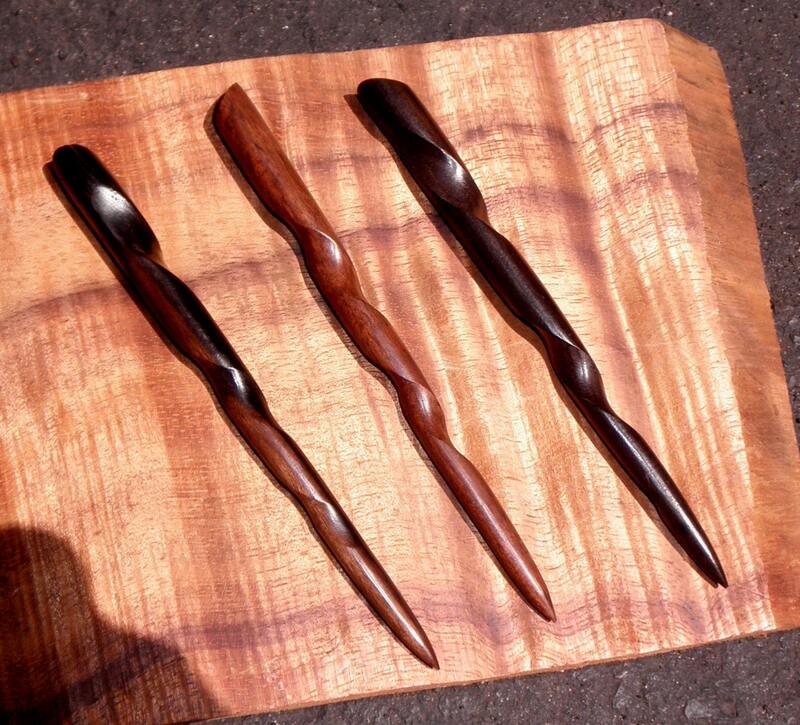 This sale is for a pair of Ebony six inch Conical Hair Sticks. Let me know if you want me to match the colors or if you would rather have contrast. This Indian Ebony (Diospyros Ebanaster) comes from managed forests that are selectively cared for and monitored. Like all Ebonies it varies from dark reddish brown colors to a deep Black. 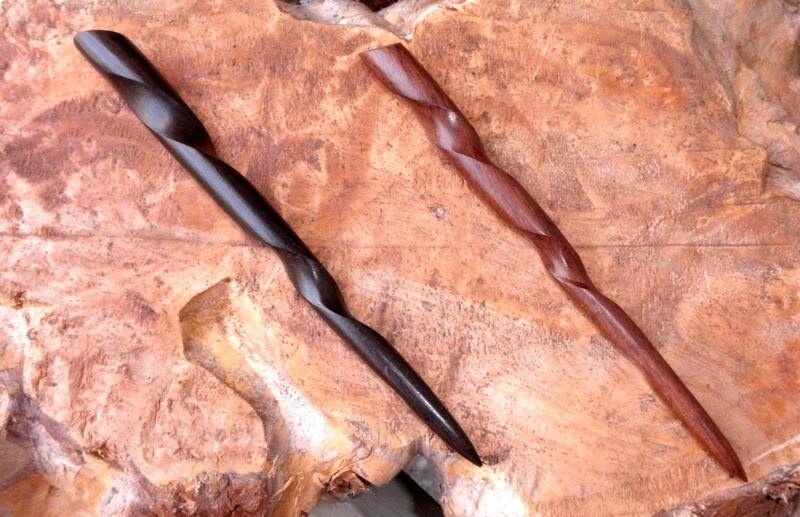 The last two pictures show three Hair Sticks that show the variety of the Ebony colors with a background of a piece of unfinished Curly Hawaiian Koa. 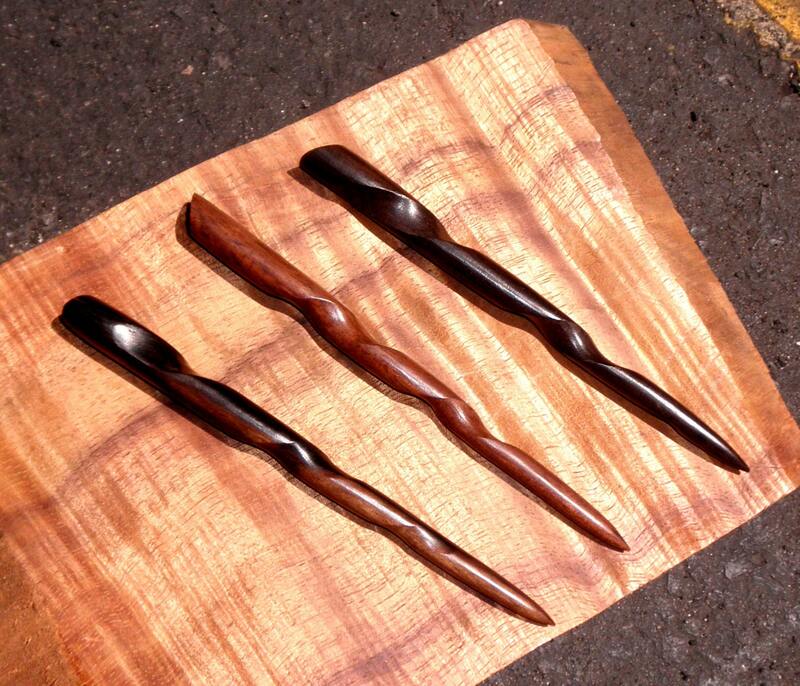 The Hair Sticks are 6 inches long and tapers from 1/2" at the top down to point. 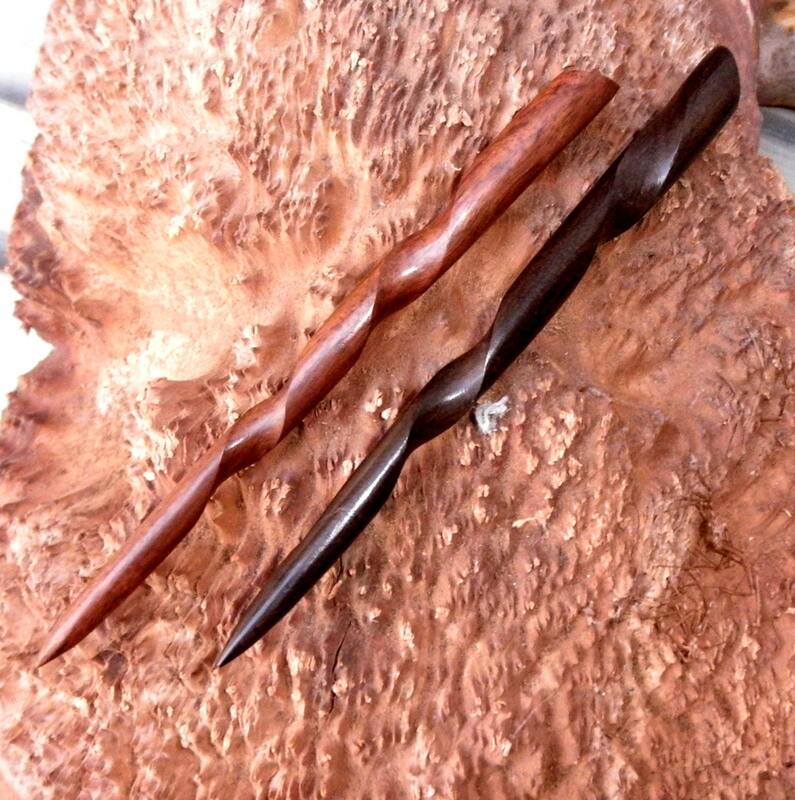 A groove spirals down the entire length of the stick and I have been told by several women customers that this gives the stick great holding power. This stick is as strong as any wooden Hair Stick you will find on the market. Since these come in various colors please let me know if you want all black or a mixture of brown and black. Bought these for my wife. They look great, and the extra was nice. 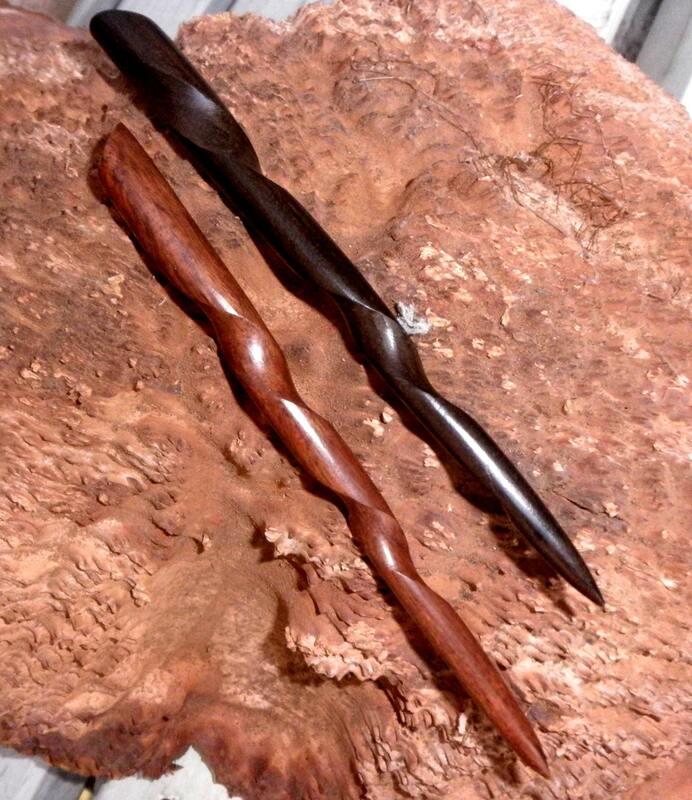 The base of one of them was chipped from shipping, but overall they are very well made. I love these! Gorgeous design & they hold well in my hair. They were sent very promptly as well. Thanks!